Firstly let me just say its all Aidan's fault, well maybe partly James's, but mainly Aidan. These men are to blame. I started playing Warhammer back in 1990, I was 8, I couldn't paint (not much has changed there) and I only really played fantasy. I had a dwarf Army and they were silver, all of them, their beards, their boots, everything. I called them the silver dwarves, I wasn't much for names. 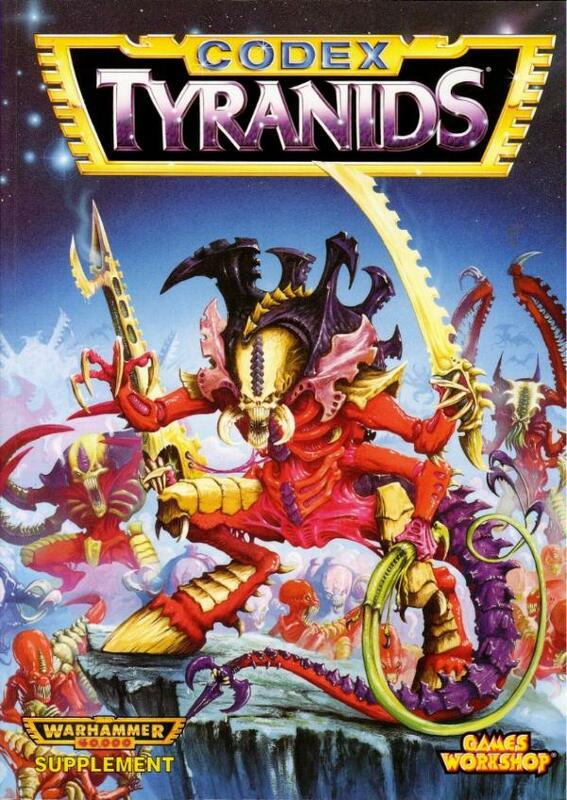 By 1993 I'd branched out into 40k and gone for the new codex on the block, Tyranids. These were even easier for me to paint in my eyes, just slop brown paint on them, add a wash (brown as well I think) and they were done, maybe throw some purple on them if I was feeling brave. Tyranids were great, I was playing at the end of the Rogue trader edition, looking forward to the new Second Edition Warhammer 40k. My local Games Workshop was great, I used to get on the bus every Thursday night, shoe box of models in hand and always get a game. In 1995, after two great years overplaying, everything else started to take priority. I was playing rugby 4/5 times a week so I didn't have time for the hobby. My Tyranids got put to one side, and then ended up in the loft (eventually they all got sold). Roll forward 17 years and a group of guys on the Guardian Chatterbox were planning to go and roll some dice and drink some beers at Warhammer World, a place I didn't even know existed, despite living in Nottingham for a couple of years. They all played 40k already and I'd been testing the Games Workshop waters by playing Blood Bowl on the PC, I had no intention of getting back into the hobby. I just fancied seeing what was going on and have a few beers (how naive I was!). The first day was fine, we drank beer, I looked at the models, watched the games and got to indulge my main hobby of photography. Then on the second day Aidan offered me the chance to control his Tyranids. I think if it had been any other force I might have been able to decline, but these were Tyranids, my first real force. I didn't recognise anything, all the models had changed except the genestealers. But I just couldn't say no, and picking up those dice was like finding a long lost friend. I may have lost the game itself but I remembered the enjoyment I had in the hobby. There was something else going on in the background of all this. Four years ago I was diagnosed with early onset rheumatoid arthritis. If you don't know, this is degenerative autoimmune disease that will slowly dissolve my joints for the rest of my life. The doctor told me I needed to find something to keep my fingers moving, flexing. They suggested pot making, drawing, painting, anything really. At the time I didn't want to do anything, I was depressed at being forced to stop playing the sport I loved (rugby) and the sport I'd played for 20+ years! Snap back to rolling those dice and looking at the models and it all seemed to fit, I could paint these and keep my fingers busy and hopefully delay the inevitable (it was a great excuse). I decided there and then that I was going to get back into the hobby. This was nearly two years ago, and since then I've assembled a fully painted Dark Angels force, a Grey Knights force, and I also have the beginnings of a Nurgle/Death Guard force and an Eldar contingent. I play 40k regularly at a local gaming club in Redditch, and I've even taken part in two tournaments. I'm back in the hobby with a vengeance and I love it, thankfully my wife is very understanding! Hey, great article. Could we please get the link to redwarsoc.com updated to a page that exists? Haha I know right! Special skills.